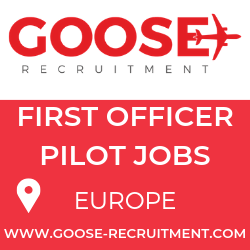 Starting on 14 January 2015, airberlin and Bulgaria Air, the Bulgarian Republic’s national airline, are offering codeshare flights on selected European routes. 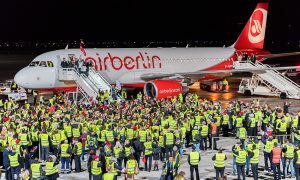 airberlin will put its code on Bulgaria Air flights from Berlin, Frankfurt and Vienna to Sofia, introducing non-stop flights for the first time from Austria to the Bulgarian capital. Bulgaria Air is also planning to apply its “FB” airline code to flights in the airberlin route network: in future, domestic flights within Germany from Berlin-Tegel to Dusseldorf, Cologne, Frankfurt and Stuttgart will have an additional flight number. 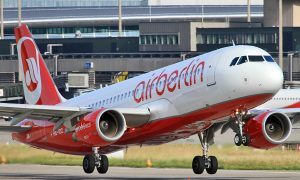 Starting in mid-January, airberlin’s direct flights from Berlin to Copenhagen, Stockholm, Goteborg and Helsinki will also fly with the Bulgarian airline’s code. Thanks to the new codeshare agreement, passengers from Sofia can also avail of comfortable long-haul connection flights in the airberlin route network, for example to Chicago, New York and Abu Dhabi. 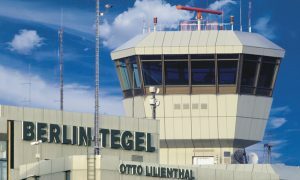 With the start of the codeshare flights in mid-January, all flights in the airberlin route network to and from Bulgaria will be operated by Bulgaria Air. Passengers that have already booked an airberlin flight on the Berlin – Sofia route will be rebooked on the new codeshare flights.